It’s every turf manager’s nightmare: Minutes into the Super Bowl, with more than 100 million Americans watching on live television, the game’s announcer comments that the turf’s poor condition might limit players’ mobility and could play a role in deciding the game. When the Carolina Panthers and Denver Broncos contest Super Bowl 50 at Levi’s Stadium in Santa Clara, Calif., the venue’s natural grass will be expected to provide not only a safe, consistent playing surface for the players to shine on the field but also win aesthetic points with high-definition home viewers. The difference between a good and bad field, experts agree, often comes down to managing small details. Examples include addressing turf compaction caused by players’ running, developing proper irrigation techniques to drain water, and recognizing how underlying layers, nutrition and health are maintained. “It’s pretty challenging,” added Dr. Jeff Beasley, a turfgrass professor at LSU, whose home football games at Tiger Stadium routinely draw more than 100,000 fans. Primetime television focuses even more eyes on the field and “everyone has an opinion,” Beasley said. Cultivating the perfect turf starts with identifying the grass type that best matches your geography and climate, experts said. This helps determine which fertilizer to use, how much water is needed, and mowing frequency, among other items. Most outdoor football stadiums with natural turf in the southeast United States start their seasons with bermudagrass. The reason is its low maintenance nature, requiring only high volumes of sunlight and nitrogen for upkeep, explained Kwame Duffy, sales manager for Alltech Crop Science. Then when the temperatures begin to decrease as fall nears, many turf managers will overseed ryegrass over the top of the bermudagrass to ensure the field remains strong and healthy, as well as continue to give off a radiant green color. Louisiana State University and the Carolina Panthers are just two of numerous examples of football teams that will use this approach. 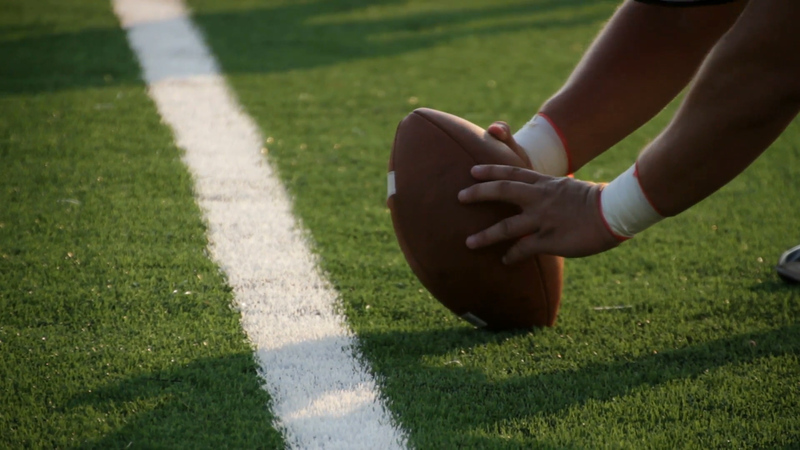 Still other football teams use synthetic turf consisting of chewed-up tires, or crumb rubber. Such surfaces, often found in domed stadiums, require less day-to-day maintenance and are good for venues that see a wide variety of events packed into a short timespan. “Beauty is in the eye of the beholder” when it comes to the ideal turf, said Dr. Gregg Munshaw, turfgrass professor at the University of Kentucky. His school’s football stadium, Commonwealth Stadium, switched to synthetic turf from grass before the 2015 season. Natural turf best allows players to plant and cut on the field, Duffy said, citing his own gridiron experience as a wide receiver and defensive end/outside linebacker. Yet, it is that ability to move more explosively that can lead to compaction issues. Determining how much abuse a field can take is a challenge, Beasley conceded. Aerification, spiking, and topdressing are measures turf managers use to alleviate stress and keep the grass soft, experts said. Meanwhile, technological advances involving timer-controlled irrigation systems and slow-release fertilizers are allowing turf to receive the water and nutrients it needs, when it needs it. “If you can dream about it, somebody’s trying it,” Munshaw said of the industry’s technological leaps. In the past five years, major chemical companies have started to invest heavily in a natural selection of pesticides and bio-fungicides, Borst said, noting Alltech is “at the forefront” of this natural movement to protect turf from pests or disease. Alltech’s Connemara golf course across the street from its Nicholasville, Kentucky, headquarters provides a unique testing ground for its products, Duffy noted. The Carolina Panthers are among Alltech Crop Science’s numerous customers, he added. Maintaining turf is a highly delicate process, where a variety of different inputs may or may not be needed. Turf managers regularly tailor their program to adjust to a number of variables. “Alltech Crop Science solutions are just one of many options for turf managers. The grounds staff at Bank of America stadium are experts; we are thrilled to have a place in their program,” Duffy commented. The company’s work on natural products hasn’t gone unnoticed. Alltech is attractive to turf managers because it can provide the sustainability and the safer chemistry they crave, said Austin Lanzarone, key account manager for Pickseed USA in Corvallis, Oregon.